January is about renewal, new beginnings, setting goals…change. If you’ve been following our blog, you’ll know that thus far in January we’ve had conversations about second chances, letting go, and sticking to goals. Recovery, freedom, purpose-these are things that help us grow. As self-aware people we see the importance of these elements in our lives, but have you ever thought about the significance of these things in your child’s life? As parents, we know that the most important part of our job is to protect and nurture our children. 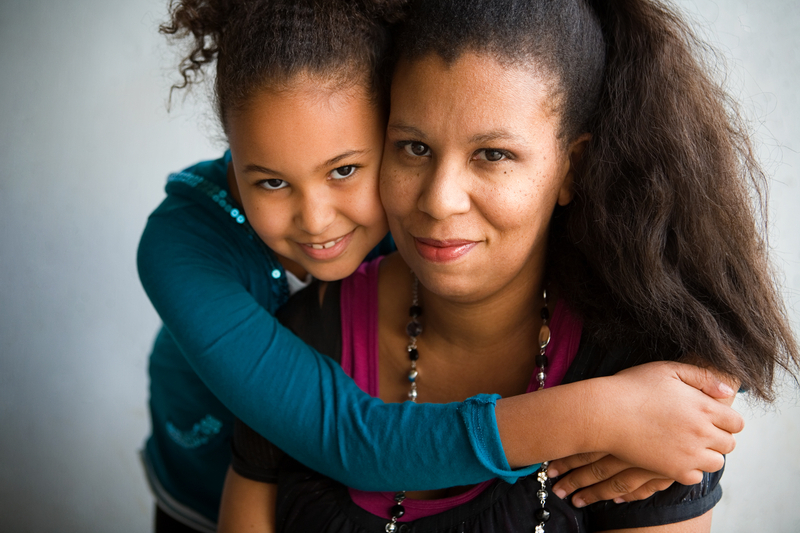 We strive to create a safe haven for our young people, ensuring that we provide love, assurance, stability, and safety. In a time where bullying has been elevated to a whole new level, where just going to the mall can be a life-changing event, these things we strive to provide for our children become even more important. Depression, peer pressure, anxiety, stress-these and a host of other mental and emotional ailments-are also a reality for our children, and one we cannot protect them from. Where our protective embrace is negated comes the need to impress upon our children the wisdom that we all have the ability to heal. Children need to feel secure and have peace of mind. They need to know that when things are not quite right their parents will provide unconditional love and support. This means cheering in the background when no one else is, offering encouragement in the face a doubt, and being that extra bit of strength our children need to face the difficulties and challenges that will come. This also means that we remain vital, active, and consistent participants in all aspects of our children’s lives. In remaining emotionally, mentally, and financially vested in seeing our children through times of happiness, sadness, fear, or triumph we commit to the greater goal of seeing our children at their best. There are many ways in which parents can support and guide their children through this bumpy road called life. One way is to always maintain an open line of communication. Let your children have the freedom to express their feelings and concerns. This means respecting, listening, and then sharing in their concerns. Offer your wisdom when appropriate and if it doesn’t discount the validity of your children’s feelings. Remember to show appreciation for your children’s unique point of view. You might be thinking that is all easier said than done. Admittedly, parenting is tough. As parents, we are often overwhelmed with so much. At times, it’s hard to know which path is the right one. We’re fearful that one step in the wrong direction could have limitless, negative repercussions. We don’t always know when to reach out for help or who to reach out too. It’s strange that if a child were to injure himself physically, suffer a broken limb or a deep cut, we never hesitate to rush to the pediatrician or emergency room. On the other hand, we’re sometimes fearful when it comes to seeking the mental health resources that will help heal a child’s broken spirit or deep, emotional wound. I’m reminded of an experience that involved my son. He was in a car accident with his dad that left him traumatized and in need of counseling. Even though it was strange and new territory, his father and I set up an appointment with a counselor. We made the commitment to see our son through each and every session. We wanted to make sure that our son knew that he had the support and love of both of us. Not only did our involvement in his process help my son through his trauma, but it established an even stronger connection between us and helped us to become more sensitive to his needs. Parents, be fearless! Know that it is okay to seek help when you can’t do it all by yourself. I personally challenge you to make it your goal in 2014 to support, promote, and uplift your children even when that means seeking help from an outside source. Remember you are the first teacher your child will ever know, and your child looks to you for guidance in navigating life’s many challenges. Your willingness to seek help and to see your child through the hard times will stay with him or her and will serve as a saving grace when they have to make informed, purposeful decisions on their own. Erica Burns is Office Manager at The Stone Foundation. She has an Associate’s Degree in Practice Management and is committed to making your experience with TSF a great one. Her friendliness and professionalism are just a few qualities that endear her to the clients we serve. If you or someone you know could benefit from counseling services, call Erica. She will be happy to help you set up your first appointment.